Hi dolls :) I know I haven’t been writing blogs as consistently as before and I apologize for that. I have been quite busy visiting campus, running conference and volunteering. For me, March Break has officially started and I hope to write as many blogs as I can to make up for it. I’m not sure if you are familiar with the brand Simple. It’s basically a skin care brand founded in UK and they make skincare products for sensitive skin. Their products claim to be perfume-free, dye-free, and many other harsh irritants-free. They recently launched their products here in Canada and I got to try out three of their products and I would like to share with you all what I think of them. First off, I have this eye make-up remover. It says on the bottle that it doesn’t contain oil, perfume, dyes and it has vital vitamin in it. It even claims that it removes waterproof makeup. I love the concept behind it. 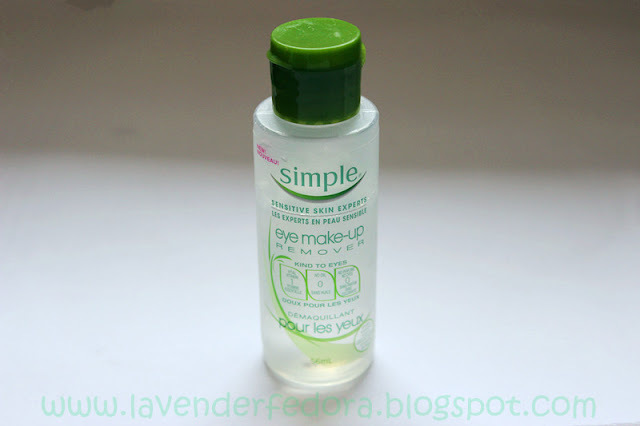 It reminds me of Bioderma’s famous eye make-up remover water. I don’t know about you but I hate putting oil on my eyes. It blurs my vision and ends up smearing my makeup all over my face. I quite enjoy this product. It works wonderfully on eyeliners, mascara, and eye shadow. However, I found that it doesn’t remove waterproof mascara at all. The same thing applies to Bioderma which I have tried before. Although many people rave about it and say it removes waterproof makeup like a dream, it doesn’t work on me for some reason :( Nevertheless, I think it’s a wonderful eye makeup remover and leaves your eyes fresh and clean. Of course, as the “sensitive skin expert”, it does not irritate my eyes at all. I even tried to use this to remove my face makeup, and it works pretty well! 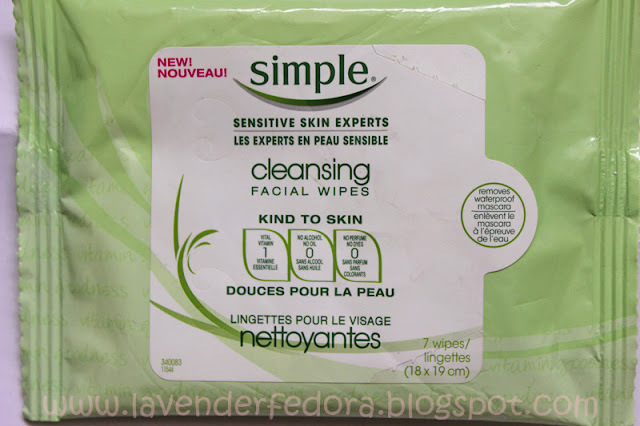 Next, I tried their cleansing facial wipes. Since I quite enjoyed their eye makeup remover, I had high expectation of this product. Unfortunately, it disappointed me. I don’t know if it’s just my wipes but they don’t have much moisture in them. When I tried to use it on my face, it ended up dragging my skin because it’s so dry. Only until the last sheet did it work a little bit better. Again, the whole claim about it removes waterproof makeup is not true. Since the wipes are so dry, I wouldn’t even try to use them on my lashes, I don’t want the wipe to pull off all of my lashes. No thanks! So overall, the facial wipes ended up being a disaster. 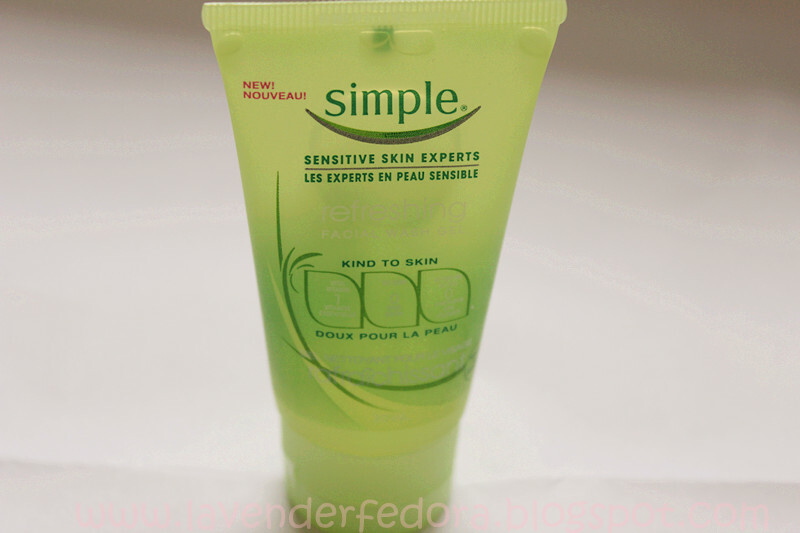 Lastly, I tried Simple’s Refreshing Facial Wash Gel. I usually don’t expect too much from face wash. As long as it doesn’t irritate my skin and leave my skin feeling fresh and clean, I am fine. So this face wash is pretty good. Although I am not completely amazed by it, by no means do I hate it. I would use this up but I would still purchase the Shiseido foaming face wash. That product is amazing! You can read my review HERE. If you are looking for something gentle on your skin, I would recommend the simple one as it’s easier to get hold of than the Shiseido one. However, there is one downside to the product- the scent! It smells like detergent without the nice lemon scent. Can you imagine that? Yeah, quite dreadful indeed. If you are not picky with scent, and since the scent of this gel doesn’t linger on your face, then you’re fine. Overall, I would give Simple products 3.5 out of 5. I really enjoyed their eye makeup remover and face wash. As for the wipes, it could be just this particular package that’s kind of dried out so I don’t blame them completely. One thing I found quite ironic about Simple products is that the wipes contain paraben. Although I have not done thorough research on that ingredient, I am sure that it’s not the best for sensitive skin. So if you considering getting some simple products, I would suggest you to stay away from the wipes. Other than that, it’s all good! 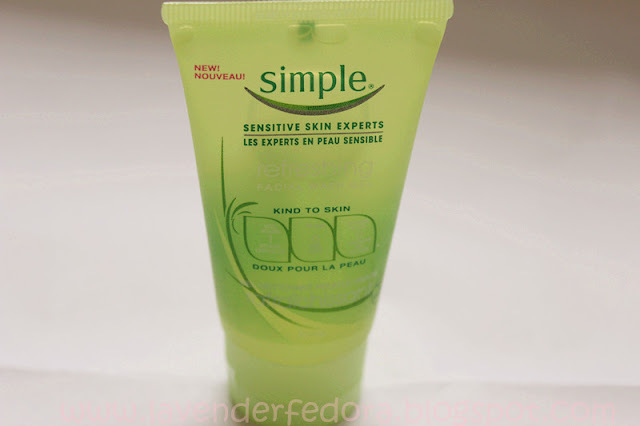 Have you ever tried any Simple products? What do you think?